We are thankful that a miracle happened and Kampala Electric Company "Uneme" outdid themselves and restored our electric in record time. Though the surge that blew the transformers also destroyed power strips, transformers, light bulbs, sockets, and many circuit boards in electrical equipment. All this happened in the middle of our Ministers Conference. There were many adversaries; there was a lot of sickness in pastors' homes, but many testified that they had to come to the conference. When they called home, they found their family members were all healed! In addition, the Educational Ministry changed the starting dates of secondary schools, and many parents had to find money for the school fees and could not come. Through it all, God provided many miracles of healing and supplied the needs of his Ministry. Thank you, Bro Rufus Parker, for teaching and preaching! I could see the Church as it was maturing and growing each day through the powerfull teaching and preaching. 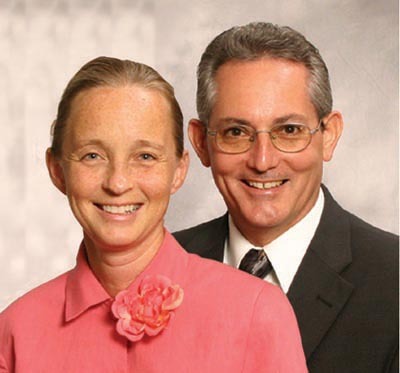 The General Board of the UACU also taught exceptionally, ...annointed teaching and preaching! A total of 171 pastors attended, as well as fifty-three were Pastors' wives and youth leaders. A total of 229 church leaders were in Bible School Classes. There were many visiting pastors. Twenty-eight received the Holy Ghost, and seventeen were baptized. Nine of these were Trinitarian Pastors, all were leaders and/or pastors wives. We rejoice in the revelation of Truth and power of God's Word. Nine branch churches became new churches last month! Forty-two new churches joined the United Apostolic Church of Uganda to preach this Oneness Message of Salvation! Five days of intensive classes, with a powerfull service at night, culminated with a great Service on Sunday as over 340 were in attendance for the Service. We are rejoicing in the growth of the Church as we receive reports daily of people receiving the Holy Ghost in Churches, people being baptized, and miracles and healings. Here in Uganda, there is a False Prophet who calls himself, "The God Almighty" and goes by the name of "Bisaka". He dresses his ministers in White robes and produces many signs through witchcraft and sorcery. He is also called the "Prince of Demons and Witchcraft". One of his leading ministers had a very sick 13 year old daughter. She brought the girl to "Bisaka" to heal, but he could not. He attempted many times to heal her and failed. When the lady returned home, she was told to take the daughter to the Apostolic Church as they have many healings. She was taken to Pastor Charles Ntegemisi.He prayed for this girl, she began to open her eyes, she began to talk, she began to eat, sand he began to walk. The Lady said, "You truly have the power of God. I am no longer a minister of "Bisaka." I am coming to be a member of this church. She took of her white robe and gave it to Pastor Charles, and he brought it to the conference to show that the Power of God is in the Name of Jesus! The conference prayed over an anointed handkerchief to take back to the young girl for complete restoration, for a testimony of the power of God! It is interesting that now we have churches on each border in Uganda. The church in Kisoro is on the southern border with Rwanda, three kilometers from the border and the gate to the Gorilla Game Park. One church in Busia is twenty feet inside the border with Kenya on the East. On the North there was a church started in Moyo this month that is one kilometer from the Sudan border, and on the west, we have several churches that are within eyesight of the DRC. At the West Nile Conference, 33 received the Holy Ghost, and 28 were baptized in Jesus Name. In the City of Gololo on the Sudan border, there were 23 baptized. The pastor received the Holy Ghost and was baptized at the Pastors' Seminar. In ONE Coordinators' area in the Rwenzori Region last month, 61 received the Holy Ghost, and 134 were baptized. At Mt. Elgon, ten new churches joined the UACU. In Kabalagala, seven received the Holy Ghost. This past weekend we were in the Western part of Uganda. We visited six churches in 2 1/2 days; people were so excited to have guests come to see them. We had a service in each morning, and then met with the saints of each church. Due to the bad roads and the services going long, most people waited for many hours for us to arrive. Eleven received the Holy Ghost in two services. Churches were encouraged, and we were able to see many plots of land that the churches had purchased to build new church buildings. In Kasambya during the altar service, there was a town elder "Big Man" who was sitting in the back of the church. As he was observing people receive the Holy Ghost, he saw an Angel stand in front of the people with his hands raised over the people, and he said "truly this is the church of God". On Saturday and Sunday, we held a teaching seminar in Kyegegwa where sixteen pastors attended. 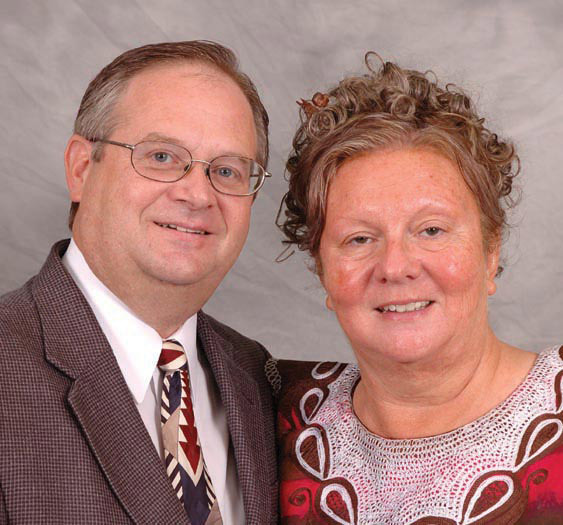 We want to thank all of you for your faithful continued support in prayers and finances. Your faithful PIM is what makes it possible to reach Uganda. Above: Trio of pastors singing in "Madi"
The capital city church had two receive the Holy Ghost. One was filled during the Youth Service, and the other in a Home Fellowship Group meeting. Eight new Home Fellowship groups have been started with many visitors coming. An evangelism tool called "Fete Des Amis" (celebration of friends) is a special time of fellowship for the church with their neighborhood. One small congregation recently had at least one hundred people packed into its building. There were several visitors to the next church service as a result. There are four more "Fete Des Amis" events planned in the upcoming weeks. There is a deep stirring happening in the hearts of the pastors to evangelize their communities. The regional missionary and his wife were both healed from malaria. The church permit and personal documents were renewed for another two years, and they are continuing to preach the gospel throughout the country. Two students from another organization were baptized in Jesus' name. Five received the Holy Ghost at one church. A village church received four visitors after tracts were distributed. During General Conference, forty-seven received the baptism of the Holy Ghost. In regular church services, twenty-nine were baptized in Jesus' name, and fifty-six received the baptism of the Holy Ghost. Over 15,000 attended the services of National Conference, and 1,884 received the baptism of the Holy Ghost. In a District Conference, twelve received the Holy Ghost, and the Missions offering for the District was more than double the previous year. Eight received the baptism of the Holy Ghost at a special service in one town. At a regional conference, twelve received the baptism of the Holy Ghost. One pastor baptized five in Jesus' name, and three received the Holy Ghost. After teaching a group of pastors on the Oneness of God and baptism in Jesus' Name, one of our pastors baptized five pastors and their wives in Jesus' name. One pastor, who was baptized at a Oneness Seminar in the north of the country, recently baptized eight in Jesus' name, including four pastors. Reports from four regional conferences give a total of 996 attending daytime sessions and 1,821 attending the night services. Seventy-four received the baptism of the Holy Ghost, thirty-two were baptized in Jesus' name, and eighty-one were healed of various sicknesses. There was also a young man delivered from demons. In the crusade services of one of the regional meetings, there was a crowd of over 1,000 visitors. This is an area where the church has been under strong spiritual attack and the saints have stood strong and believed in the delivering power of God. At two Sunday School Seminars, twenty-five teachers were empowered to reach their children effectively. At one church, four received the Holy Ghost, and the pastor also testified of being healed from the effects of several strokes. One of the missionaries preached at this church about "The Champion in Our Camp," and the church symbolically recreated a modern-day Jericho by marching around the outside of the building seven times to see their problems destroyed. One lady who was recently diagnosed with breast cancer testified that as she made the journey outside she felt pain, but by the time she returned inside the church the pain and lump were both gone. A total of three received the Holy Ghost at two other churches, and five were healed. At a Ministers Conference, there were 229 church leaders in five days of classes. Twenty-eight received the Holy Ghost, and seventeen were baptized in Jesus' name-including nine Trinitarian pastors. Nine branch churches became new churches, and forty-two churches joined our church. Sunday service had over 340 in attendance. At a Regional Conference, thirty-three received the Holy Ghost and twenty-eight were baptized in Jesus' name. In a city on the Sudan border, there were twenty-three baptized in Jesus' name. The pastor was one who received the Holy Ghost and was baptized in Jesus' name at the Pastors Seminar. Throughout other areas of the country, a total of eighty-seven received the baptism of the Holy Ghost and 146 were baptized in Jesus' name. Also, twelve new churches were started, including a church that recently received the truth. The presbyter baptized the whole congregation. There were over 5,500 in attendance at a recent conference where fifty-eight received the baptism of the Holy Ghost and forty-five were baptized in Jesus' name. We thank the Lord for the powerful preaching, teaching, and services. Eleven have recently graduated from Word Aflame Bible College. Thank you for all your prayers over these 9 months as I faced the big "C" word. I thank God that I have been given the all clear now--just have to be tested every 3 months to make sure the cancer does not return. I know it is the prayers of God's people that have helped me through this challenge. Looking forward to returning back to the land of our calling as soon as we finish up a short deputation. Thank you Jesus and thank you friends. We are rejoicing in the growth of the church as we daily receive reports of people receiving the Holy Ghost in churches, people being baptized, and of miracles and healings. Here in Uganda, there is a false prophet who calls himself "The God Almighty" and goes by the name of "Bisaka." He dresses his ministers in white robes and produces many signs through witchcraft and sorcery. He is also called the "Prince of Demons and Witchcraft." One of his leading ministers had a very sick 13-year-old daughter. She brought the girl to "Bisaka" to be healed. He could not heal her. He attempted many times to heal her and failed. When the lady returned home, she was told to take the daughter to the Apostolic Church as they have many healings. She was taken to Pastor Charles Ntegemisi. He prayed for this girl. She began to open her eyes. She began to talk. She began to eat. She began to walk. The lady said, "You truly have the power of God; I am no longer a minister of ‘Bisaka.” I am coming to be a member of this church.” She took off her white robe and gave it to Pastor Charles. He brought it to the conference to show that the power of God is in the name of Jesus! The conference prayed over an anointed handkerchief to take back to the young girl for complete restoration, for a testimony of the power of God!